The principal acclaimed for changing the academics of the Malcolm X Shabazz High School in Newark will lead the College Achieve Paterson Charter School when it opens in September. Gemar Mills will serve as the executive director of the charter school expected to educate 276 students in K-1 and 5-6. A native of the Silk City, Mills has been profiled in the Atlantic for bringing change to the Malcolm X Shabazz High School when it was on the verge of shutting its doors to students and parents due to low test scores and poor academics. Mills, a product of the Christopher Columbus Projects, has a deep understanding of what’s required to allow urban young people to succeed in school and get to college. College Achieve Paterson Charter School which was approved last September aims to provide a rigorous education to prepare its students to graduate both high school and college. It will place students in labs starting in kindergarten and teach them the basics of conducting scientific research and experiments. Students will spend five hours a week in the study of science. This is twice the national average for science instruction. The aim of providing more science instruction is to prepare students for a wide range of careers in science, technology, engineering, medicine, and mathematics. Science instruction will be combined with immersion in the Toulmin College Writing Program, a composition course focused on teaching rhetoric used in top private schools, to challenge students to read, engage, and understand issues to develop informed arguments and master critical thinking and writing skills. “As executive director of College Achieve Paterson Charter School, it will be my personal and professional goal to ensure every single student in our care gets into and successfully graduates from college,” Mills said. 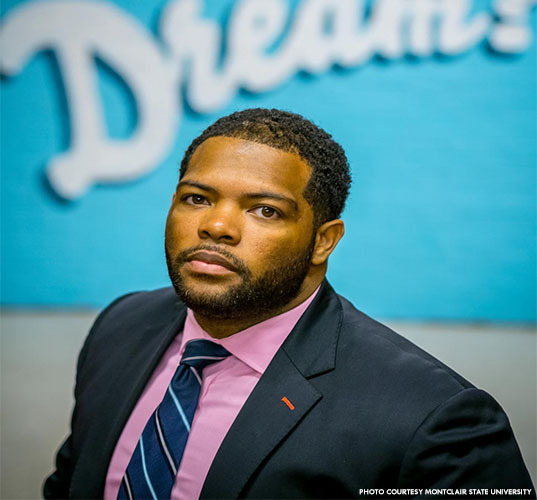 Mills currently works at the New York City-based nonprofit The Future Project, whose mission is to prepare undeserved high school students for college and career. The College Achieve Paterson Charter School will expand to 961 students in K-9 grades by 2020. The school’s original campus is in Plainfield. It was approved for expansion Paterson and Asbury Park last year. Parents interested in enrolling their children at the College Achieve Paterson Charter School should visit the charter’s website.